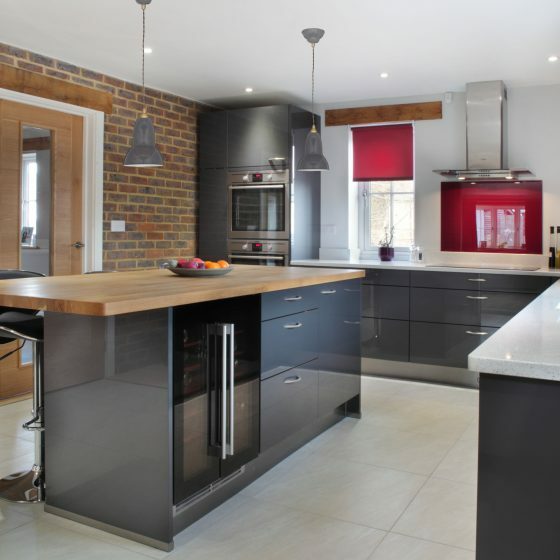 We were privileged to work in this stunning new build home in Amersham. 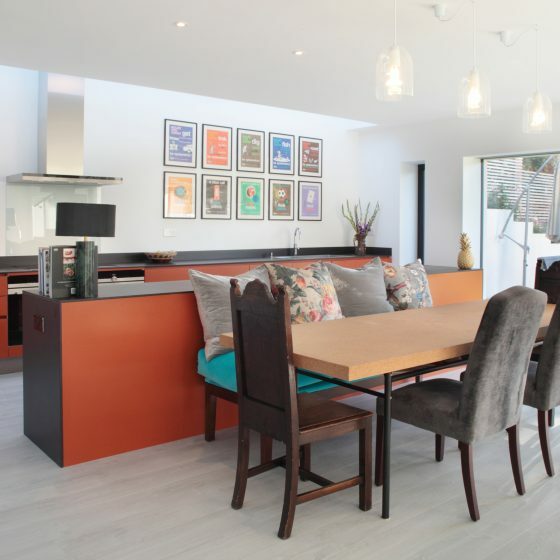 We were chosen to Design and supply the kitchen; the end result is breathtaking. 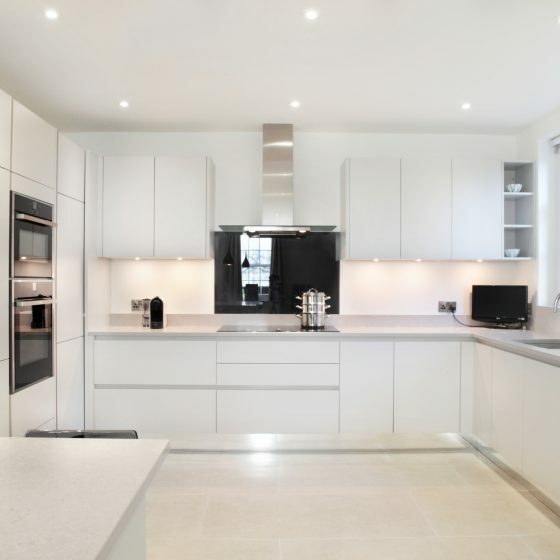 The space, flooded with light due to the large windows, is a perfect setting for this spacious kitchen with its shimmering silver Acrylic doors.